For those who have been waiting for a Sucy episode, the wait is over. 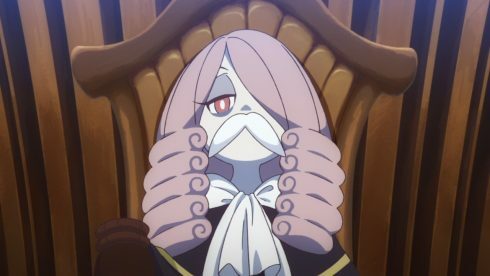 In a sense Sucy as we know her wasn’t in this episode very much, but this episode was all about Sucy. It was certainly a fun excursion into her mind and a chance to get a better understanding of her. 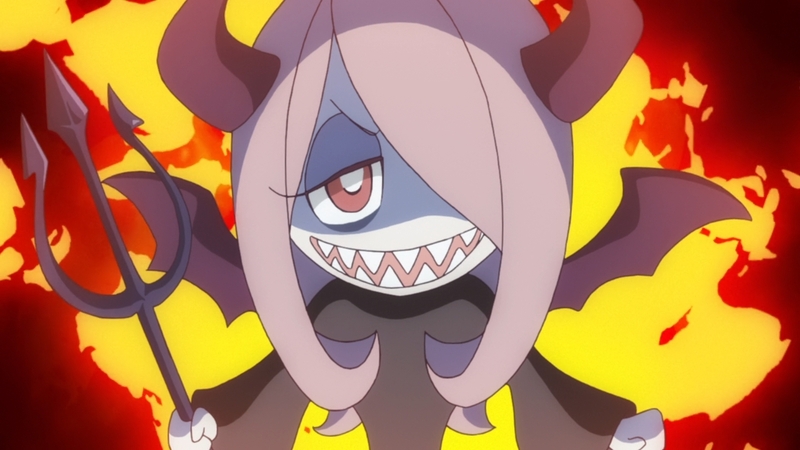 And I suppose one nice thing is that the episode doesn’t really make a dramatic shift in how we perceive Sucy. She’s still a girl who can be a jerk at times and who has a very questionable sense of morality. But that doesn’t mean she lacks likable qualities and she does care about Akko in her own way. It says a lot that her encounter with Akko has become a precious memory. This episode is pretty good at defying expectations. 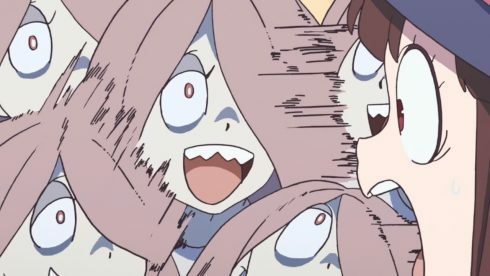 There was a big focus on Akko protecting budding new aspects of Sucy’s personality. A fair amount of those aspects actually weren’t bad. 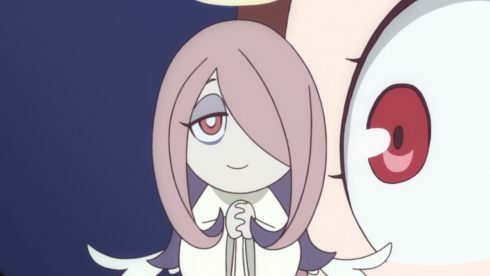 It makes sense for Sucy to gain a slight interest in night fall after that episode. A fair amount seemed harmless and frankly things that might make Sucy a better person. 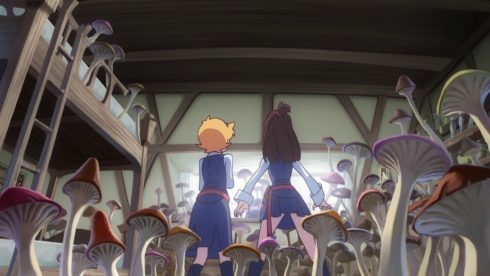 It made sense for Akko to jump in there and be heroic. But it was a great spin that this actually was a bad move. It is true that people inherently just stamp out potential interests and new sides of themselves. We only have so much time in a day and only so many things we can direct our energy towards. Eventually you have to prioritize or else you’ll be bouncing all over the place. It is like the idea that if we really stopped and thought about all the tragedies going on around the world that we’d become paralyzed. How could we really spend time watching anime or buying video games if we thought about the state of the world? It’s more rational to put all the money we can spare to charities or non-fun uses. But we don’t do that. Obviously people put some money towards these things, but not all of their money. We focus on the things that interest the core of who we are and mostly discard the rest. I wouldn’t want to image beheading those aspects of myself…but in this case that’s what it meant. If you don’t focus down on who you are then you’ll become a mess that can’t restrain yourself from any impulse that crosses your mind. So in that sense the episode touched on some interesting ideas. But, it was also just a crazy episode. Sucy’s mind really is the Mushroom Kingdom. I half expected Mario to be running around in there. And the world of Sucy is about what I’d expect. The classic angel and devil when applied to Sucy are both pretty darn scary. One just wants to stab you to death and the other will quietly poison you…And they took every advantage to exploit Akko before agreeing to help her. 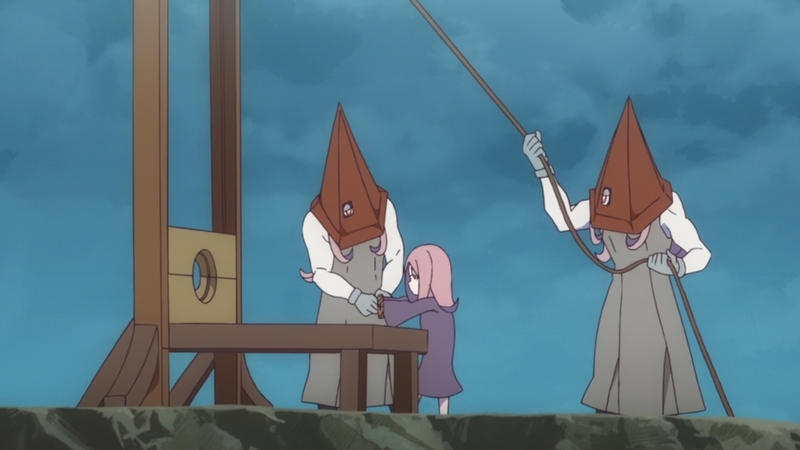 In some ways I’m surprised that aspects of Sucy managed to avoid execution. Was the one that simply wants to spit on everyone really a necessity to her personality? I guess it got in before the court of Sucy decided to really crack down on new character traits. I think the best thing with this episode is the more emotional angle. 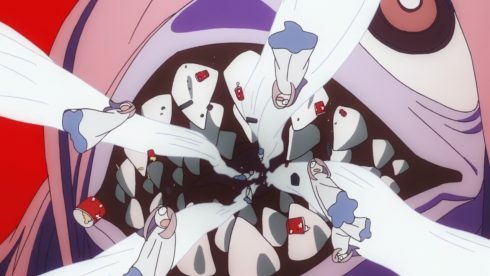 Despite all that Sucy does (she literally left a funnel in Akko’s mouth) the girl does care about Akko. Even though she messes around with Akko a lot and causes trouble, meeting her is a precious memory. Her ‘best film’ or best memory is meeting Akko. I mean look at how the animation went from comical to all shoujo for that bridge scene. 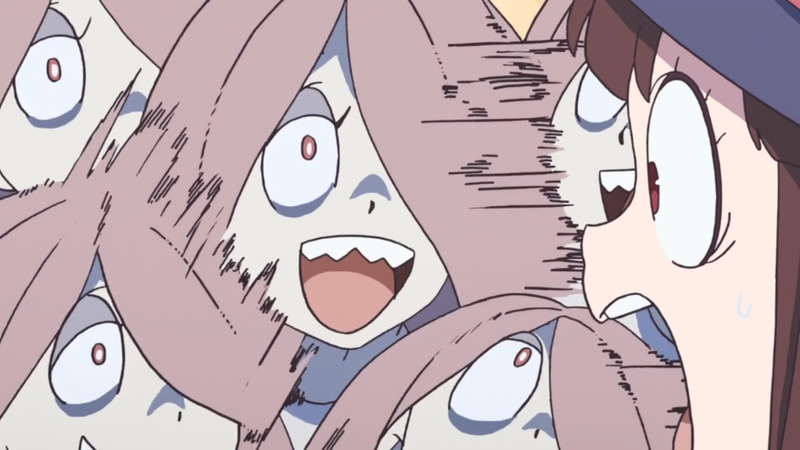 Sure it switched back to comedy animation, but it was a big moment for Sucy. 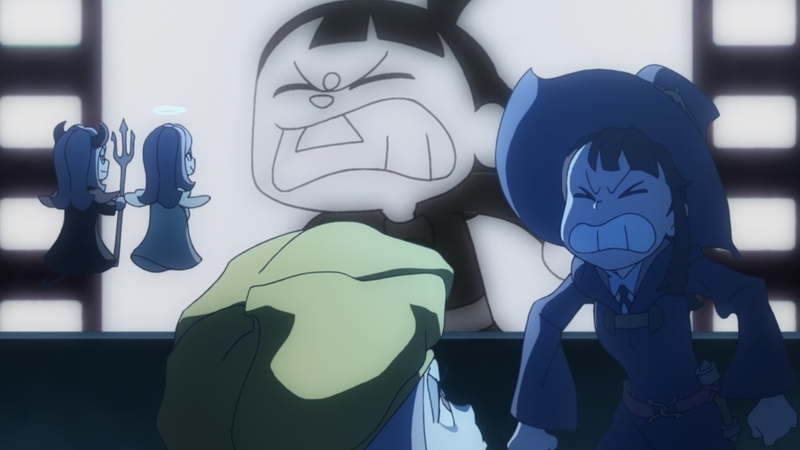 The way she treats Akko just reflects her warped personality. But within that personality she considers Akko a precious friend. 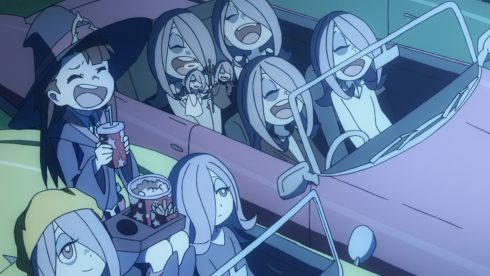 And good on Akko for being able to laugh off how Sucy looks at some of their time together. 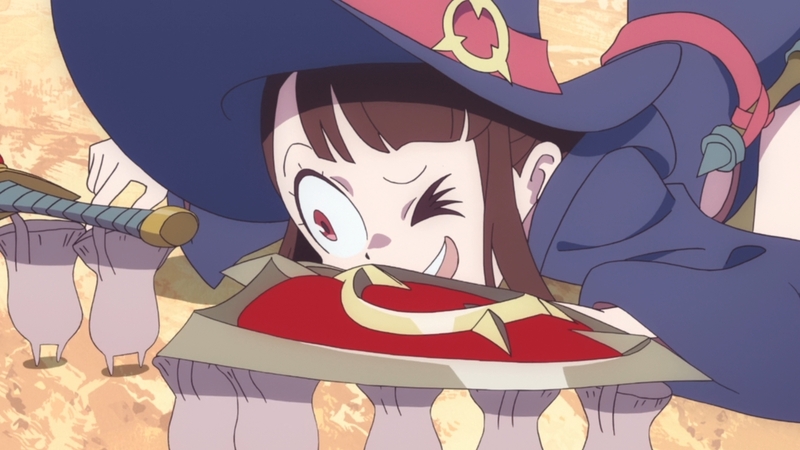 Some might have gotten pissed and stayed angry, but Akko eventually was just laughing and having fun. And sure Sucy can talk about Akko being stifling and she probably means that to a degree. 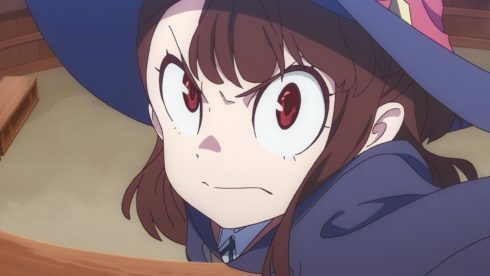 But that doesn’t mean she hates Akko or doesn’t appreciate that stifling personality in her own way. Just a fun thing with how they played up the sleepy beauty side of things near the end. Akko picking up that sword and shield that was being carried when she first arrived and using that to get up to Sucy. And of course they played up the kiss scene….until Sucy woke up XD. Just fitting that Sucy literally couldn’t allow herself to stay asleep at that point. 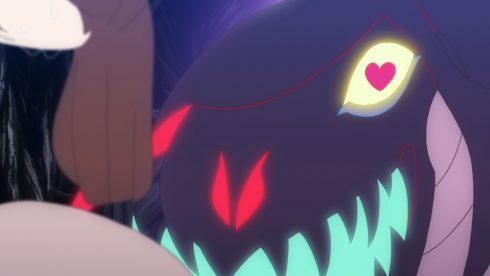 And kind of awesome how the mass of Sucy attributes that became a dragon…was caught up in watching that potentially yuri scene. Just perfect having her wake up then. 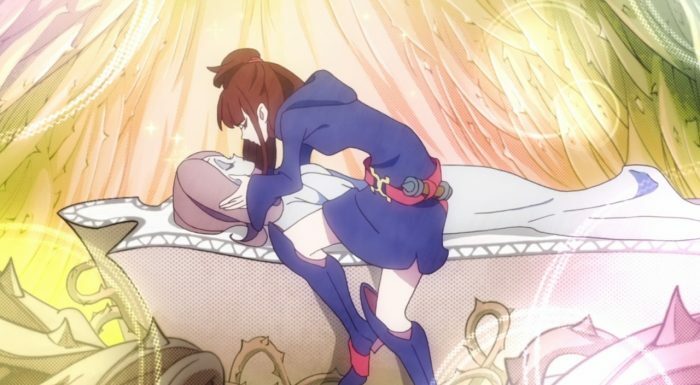 And I’m sure what did wake her up was Akko expressing how much Sucy means to her. The ending I think is pretty easy to play with. It was a spell that Lotte used. It probably even said that if successful that the witch will wake up and time will rewind to a certain point. And that is probably good since I think by the time Akko actually made it to Sucy…that the world had gone straight to Mushroom Hell. 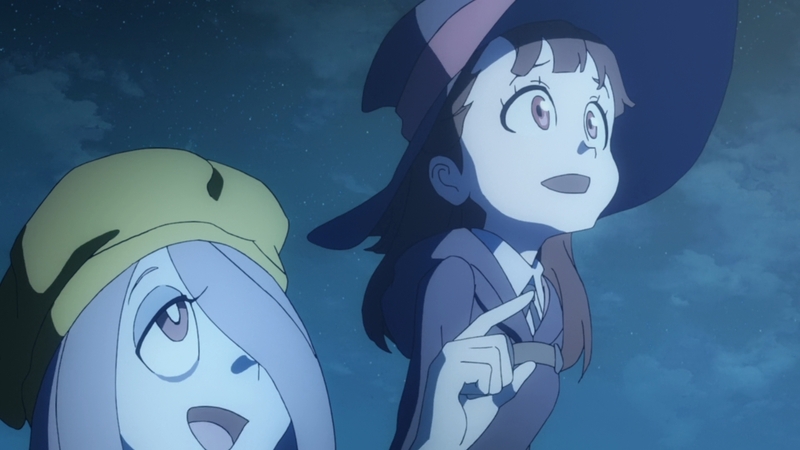 We know it happened because Sucy perfectly remembers the deal cut with Akko and really it makes no sense otherwise. 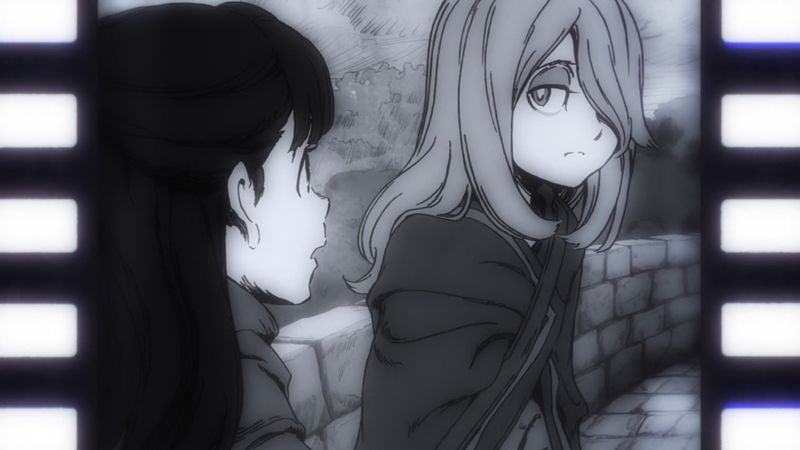 We saw well before Sucy passed out how she drank the potion (not wanting Akko to since a competent Akko is boring). In the end it was a nice adventure that let us understand Sucy better and also touched on some solid ideas about what makes up a person.